For a long time, many small and local businesses considered their main technology challenge to be getting a website created. However, with so many businesses with websites, and increased competition from online rivals, business owners have embraced new technology to help their businesses succeed. A new report from RetailMeNot suggests that business owners will increasingly use mobile marketing and social media marketing to expand their in-store businesses in the near future. RetailMeNot recently released a new study titled “How Retailers Are Adapting to New and Evolving Mobile Marketing.” This report, which was based on a survey of 200 decision-makers in retail organizations, shows that business owners are adapting to changes to mobile technology and the way people interact with social media. The vast majority of retailers surveyed said they are increasing their investments in mobile (92 percent) or social media (89 percent) advertising this year. Now it’s not necessary for business owners to jump on every cyber bandwagon they can find, but mobile and social media marketing are different, and can have an amazing effect on in-store sales. An example of how in-store sales could benefit from mobile marketing can be seen by looking at how store’s handle in-store promotions. The RetailMeNot report notes that 25 percent of retailers do not have the ability to tie their mobile marketing efforts to in-store sales, missing key opportunities to provide push notifications or customized offers to help complete the shopper’s journey. One of the challenges small business owners face when they want to use mobile marketing is the technology barrier. While it’s relatively easy to make a website mobile friendly, many businesses lack the resources to create apps or run mobile coupon campaigns. One way around that is to use third-party software to get the features the business needs without having to recreate the wheel. Besides being cheaper than creating an app from scratch, there’s evidence that using third-party solutions can positively affect the bottom line. According to the decision makers surveyed by RetailMeNot, more than 80 percent of retailers that used partner platforms to issue mobile promotions said they received above-average ROI, up from 66 percent of retailers in 2016. Whether it’s on their own, or through a third-party service, many business are using mobile devices to get coupons in the hands of their in-store shoppers. 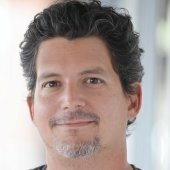 According to RetailMeNot, most retailers are sharing mobile unique promotion codes (56 percent) or mobile single-use promotion codes (56 percent) to customers through owned and partner apps. 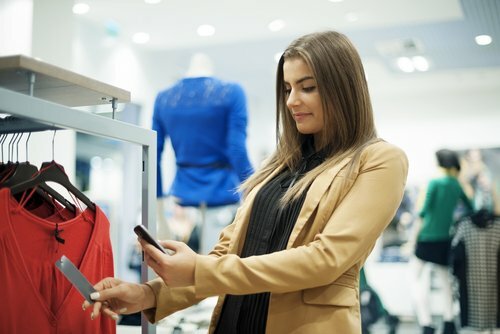 Business owners that haven’t tried using mobile marketing to enhance their in-store sales should try using the technique. For more recent news that can help marketers, read this article on changes to Facebook that affects content creators.